A security analysis firm called Gemini Advisory recently posted a report saying that credit card fraud is actually on the rise in the US. That's surprising, because the US is three years out from a big chip-based card rollout. Chip-based cards were supposed to limit card fraud in the US, which was out of control compared to similar fraud in countries that already used EMV (the name of the chip card standard). Further ReadingWhat happened after the US moved to chip-embedded payment cards?Chip cards work by creating a unique code for each transaction, and (ideally) require a customer to enter a PIN to verify that they want to make the purchase. This doesn't make it impossible to steal information from chip-based cards, but it does make it much harder to reuse a stolen card. 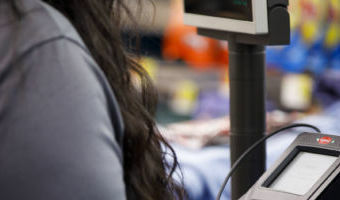 By contrast, using a magnetic stripe to swipe a card simply offers all the relevant information to the merchant's card reader, which is much easier for a bad actor to steal. Gemini Advisory now says that 60 million … [Read more...] about Why aren’t chip credit cards stopping “card present” fraud in the US?